Mozart Lives! A Mozart page, spreading culture on the internet. Ah, well, this page (after much delay) is finally up! This is a page run by a teen who (gasp!) likes -loves actually- Wolfgang Amadeus Mozart. 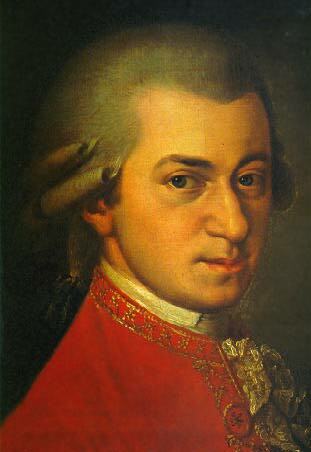 The goal of this page, well one of the goals anyway, is to expose more people to Mozart and his work. If any of you out there would like to help in this mission, I say great! The more, the better. All you have to do is give this link to a friend or put it on your page (whatever that may be) and you will be helping to spread culture across the net. In fact, if you link to this page from yours, I'll link to your page here. It doesn't matter if it's another classical music page, a page about rap music, or a page about cats, I will link if I have been linked to. Just copy and paste either of the links below onto your page, then e-mail me (my address is at the bottom of this page) and let me know you've linked. Mozart lives! Help spread culture across the net. If you have any questions, comments, or general babbling, send it to the e-mail address below. I love getting mail. Due to the amount of crap I get each day though, I mass delete things and sometimes an actual letter is deleted, so please put in the subject box 'Mozart page' or something with the word 'Mozart' in it so I'm sure to see your letter.